The CCEE Stampers are excited to be back for a brand new year of challenges. This month is my turn (Frances) to host the challenges, I hope you enjoy them. To start of the year we have a nice easy challenge for you all ... Check it Out! You need to include checks of some type on your card .... be it a stamp which a check design; designer paper; embossing folder, ribbon etc. You get the idea! 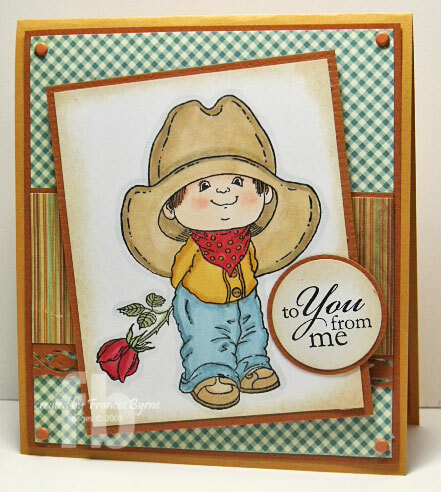 If you would like to play along all you have to do is create a card using the above challenge, and upload it to your blog and/or to your SCS Gallery using the keyword CCEE1101. Don't forget to come back here and link it on Mr Linky so that everyone else can see your card too. Now let's see what the design team created for you this week! The DT samples are so pretty. Thank you for the fun challenge and the inspiration! I think I was able to participate in all the CCEE Stampers challenges in 2010 except for one or two when I was out of town. I'm going to try to do every one of them this year!!! Thanks to all of you!!! Great challenge, ladies and always love stopping by to see how your creative juices are flowing!! 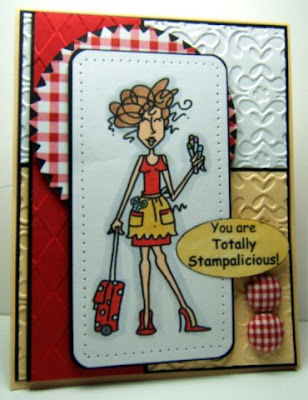 Fabulous DT cards! I love seeing your beautiful work! Love the DT cards...great inspiration on all of them. Love this challenge! Lovely inspiration! Thx for the challenge! Great challenge, don't normally think of buttons but will now !! I know I'm late but I linked up my card anyways.